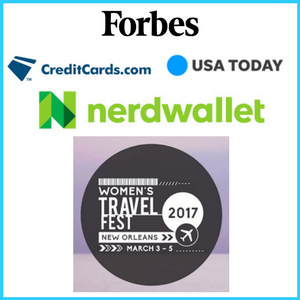 Pin this to your Pinterest travel board! 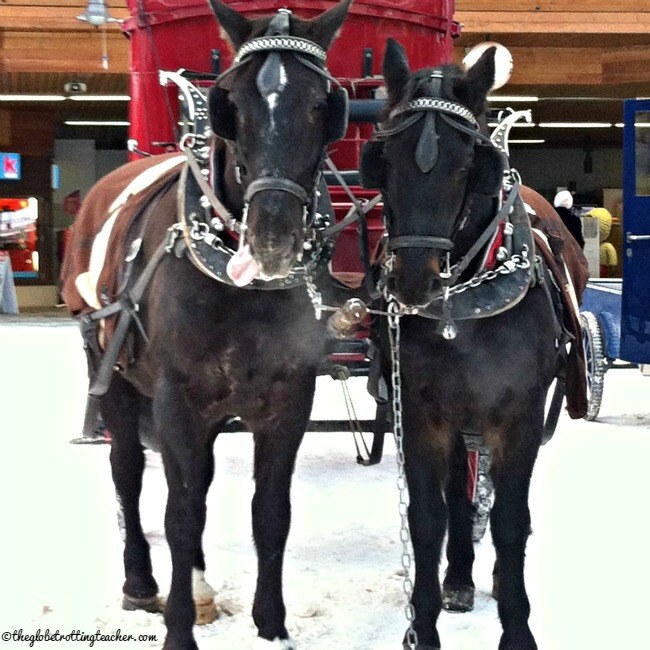 Have you traveled in search of holiday cheer? I have. I admit it. The chaos and frenzy known as holiday shopping just doesn’t bring out my joyful side. Nor do endless texts back and forth with my sister about whether or not the appetizer I’m bringing for Christmas dinner goes with Aunt Kim’s roasted red pepper spread. Spoiler alert. I might be a Grinch, but I don’t think so. Rather, the same old same old left me yearning for something different. Have you felt the same? 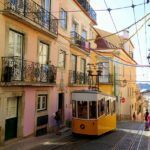 So, a few years back, my husband and I began mixing in travel with our holiday plans. Christmas in New York City is certainly festive, but we rarely get snow for Christmas or New Years. We wanted a place with holiday cheer and a winter white landscape. Christmas in Switzerland was the plan. 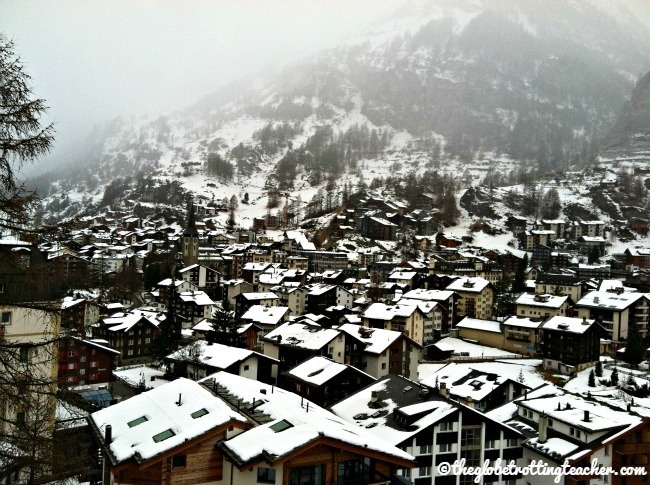 And, when we decided on Christmas in Zermatt, it was equivalent to stumbling upon a fairytale snow-covered village. We were certain this tiny village tucked into the southern Swiss Alps would be the Christmas for which we’d been wishing. 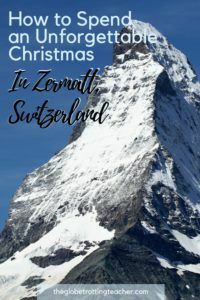 If you’d like to surround yourself in holiday cheer and winter-white landscapes, Look no further than a Zermatt Christmas. 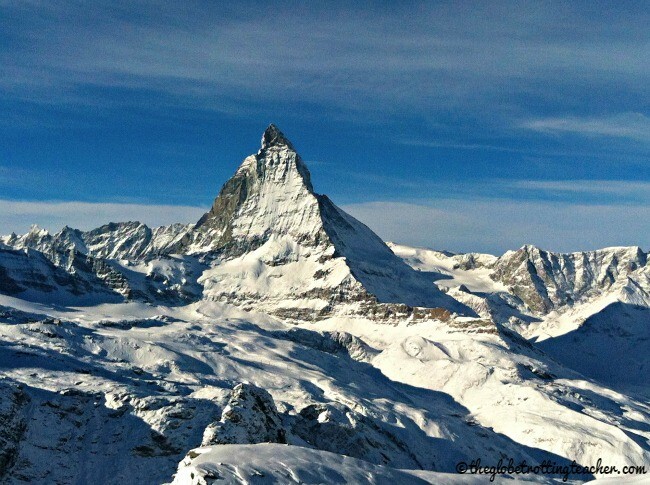 Zermatt sits at an altitude of 5,310 feet and is best-known for the iconic symbol looming overhead, the Matterhorn. The village is car-free and 100% pedestrian. From the moment you arrive at Zermatt’s Train Station and head off to your accommodations either by foot or by way of electric golf cart, you can sense the difference in feel. The crisp, clean air fills your lungs and the white noise associated with traffic moving in the background is noticeably absent. The large, lit up village Christmas tree can’t help but make you smile. The main road, Bahnhofstrasse, sparkles with Christmas lights and the warm glow of the many shops and restaurants. Occasionally, a horse and carriage push pedestrians aside with the clip-clopping of hooves nearing close behind. I do believe that horse is sticking his tongue out at me! Doesn’t he know it’s Christmas?! Even the most Grinch-like visitors won’t be able to resist the infectious Zermatt in winter vibe. Seriously, I could’ve clicked on my skis and slid through the streets singing carols. Very unGrinch-like, for sure! I know some of you are thinking, “I hate the cold. I hate the snow.” But, I would venture a bet that many of you summer-lovers would not only tolerate, but dare I say it, enjoy a few days of snow and cooler weather just to feel festive and celebrate a white Christmas. So, stick with me on this, ok? 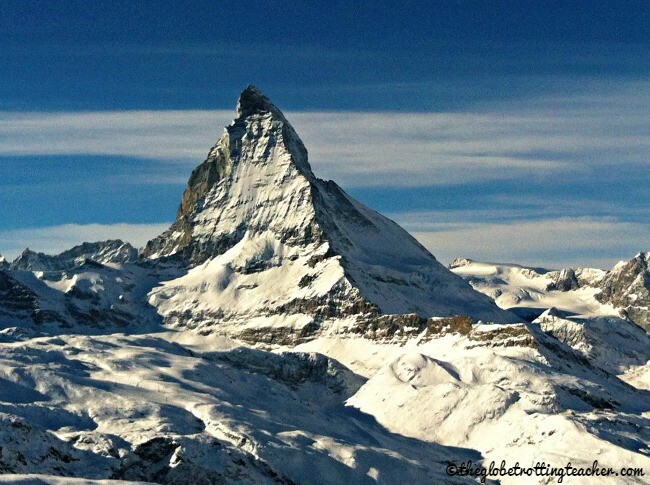 Wondering what to do in Zermatt? Start here. The Gornergrat Cog Railway is a must. Of all the Zermatt attractions and whether you’re a skier or not, everyone has to make the ascent to the viewing platform over 10,000 feet into the Alps. Electric trains carry skiers and sightseers alike up into the mountains. 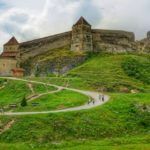 You’ll pass by snow-covered evergreen trees and over stone bridges to reach a mountain landscape with unparalleled views of the Swiss and Italian Alps. Need I say more?? Besides enjoying the white jagged peaks, you can have your photo taken with a Saint Bernard, grab a bite to eat, and even plan to return for a starry night experience. If you’re lucky to end up with a clear day, the visibility is incredible! There are plenty of Zermatt things to do for non-skiers, too! Go into the mountains for tobogganing or opt to stay in Zermatt and ice skate in the village’s hockey-sized rink. 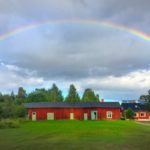 Guided Village walking tours in English take you to the older parts of the village that show off traditional timber houses over 500 years old. Prefer to keep warm? Soak up the Zermatt winter vibe by visiting a spa or cozying up to a fireplace with some gooey cheese fondue and a glass of mulled wine. If you’re looking to hit the slopes and you’ve landed in a Zermatt Christmas, you must’ve been good girl or boy. Santa has set you up for a real treat because Switzerland skiing is simply spectacular! The views of the Matterhorn are just the beginning. With white-covered mountains shimmering against the blue skies as far as the eye can see, you’ll hard-pressed to top these skiing memories! Use the Zermatt ski map to find pistes for all levels surrounding the village. 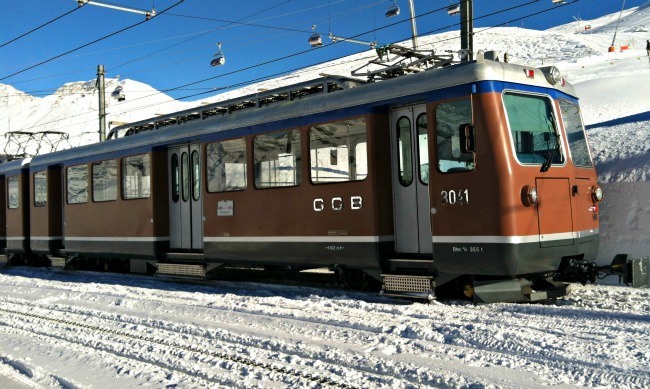 The Gornergrat Cog Train, gondolas, and even elevators whisk you into the mountains for an awesome powder experience. For those of you who want to channel your inner James Bond, you can even ski into Italy for lunch and take the gondola back to Switzerland afterward. Be sure to bring your passport! Compared to the skiing in the U.S. and Eastern Canada, the pistes had the softest, freshest, groomed snow I’d ever skied on, with wide-open runs shooting off into every direction. Because of the elevation, the Zermatt snow report typically looks fantastic! It even snowed a couple of feet on Christmas Day for our first truly white Christmas. While there were more popular spots, I managed to find an incredible few moments of solitude and freedom on an entirely empty piste. Pro Tip: Zermatt prices for everything are high, so be sure to pack all essential ski gear to avoid having to buy it in the village. This was definitely a “pinch me” moment. I couldn’t believe I had this stretch of mountains all to myself. After enjoying the day out in the mountains, return to Zermatt for a festive apres-ski drink before heading out for dinner. 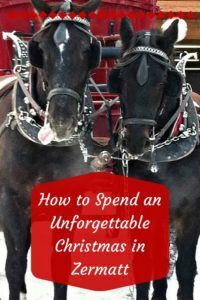 A spectacular winter white wonderland during the day and warm, cozy, lit up pubs and restaurants by night combined for one of the best Christmas’ ever! Yes, we broke with tradition by not spending it with our families. We also found the holiday cheer we were looking for (a.k.a. no more Grinch-like attitudes) by making new traditions and creating the holiday we wanted! 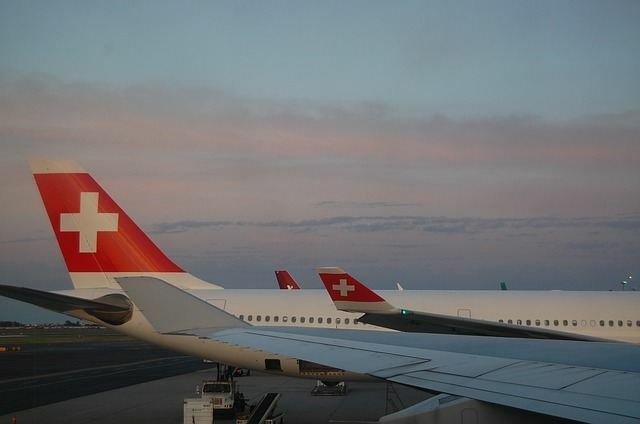 Switzerland’s 2 major International Airports are in Zurich and Geneva. Trains run from the airports and take a couple of hours to reach Zermatt. There’s a ski transport service at the airport, which allows you to drop your skis off and meet up with them upon arrival in Zermatt. If you rent a car, you’ll need to park in the covered parking garage in Tasch and connect onto the shuttle train for the last 20 minutes into Zermatt’s train station. Taxis are also available for hire to complete your journey into Zermatt. Absolutely no cars permitted in the village. Zermatt is a popular winter destination and accommodations book up quickly. For visits during peak holiday times, book well in advance. We stayed in a cozy room at the family-run Bella Vista Hotel. It was on a hill about 10 minutes from the center of town with skiers zooming past as they exited the mountain runs. 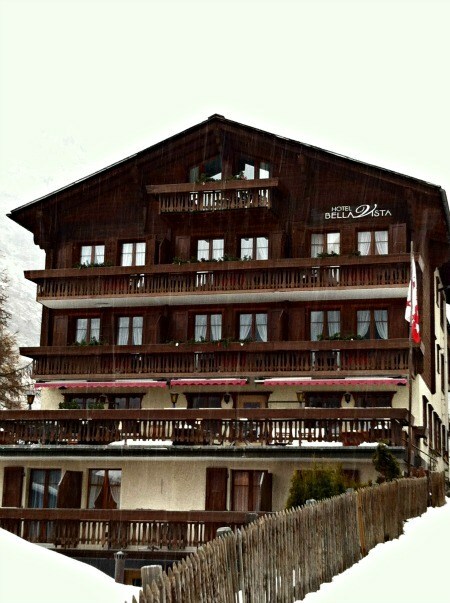 Check latest Zermatt prices or Book your Zermatt hotel now. 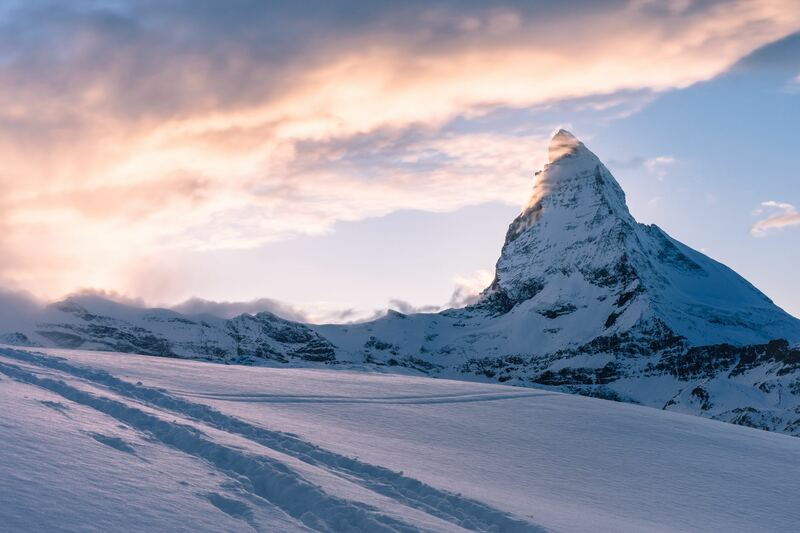 In addition to luxury hotels, inns, and quaint bed and breakfasts, you can also rent a Zermatt chalet or save money with Airbnb, which lists a variety of Zermatt apartments. This would also let you prepare some meals at home which would certainly save money. After all, Switzerland is not cheap and neither is Zermatt lodging. 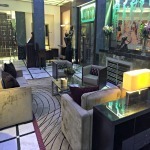 If you’re hoping to use points for a hotel award stay, Zermatt has just 2 hotels participating in a loyalty program, the Best Western Hotel Butterfly and the Best Western Alpen Resort Hotel. Zermatt is a pedestrian village, with only electro-vehicles moving through as taxis and mini-buses. Walking between distant locations should take no longer than 20 minutes. The roads are packed with snow, making it easy and fun to ski, snowboard, or sled from mountain runs directly into the village. Zermatt has a vibrant apres-ski scene, boasting food and drink specials and festive live music. Casual eats and 5-star dining experiences can be found in town, as well as on the mountain slopes. Along the main road, Bahnhofstrasse, find delicious fondue at Walliserstube and definitely wait in the line at Creperie Stefanie. If you’re looking for food and drink spots away from Bahnhofstrasse, Reidstrasse, as well as tiny streets leading away from the center of the village, hold numerous hidden gem spots to eat and drink. Christmas in the Alps is an absolutely unforgettable experience. You’re virtually guaranteed a Zermatt snowfall. The tiny village will be covered in white and bright lights, with the mountain peaks looming overhead. Your ears will take in the sounds of church and sleigh bells. And you can be sure, your Zermatt Christmas will linger on in your heart for seasons to come. Is a Christmas in Zermatt on your holiday wish list? If you could travel anywhere for the holidays, where would you go? You’ve made me want to go out and book the tickets now. Do you think I have time to organise it for this year? To be honest I’ve never really thought about a festive themed holiday but this looks so fun! I bet you felt like kids again. Also, I’ve been seeing your pictures on Instagram these past few days and you basically put Zermatt on the map for me so thanks. Very quaint! You said it perfectly, Dannielle. We absolutely felt like kids again! Glad you like the Zermatt photos. 🙂 It’s such a cute town and the towering Alps are incredible. I love your comment about the snow. Just enjoy it! It doesn’t last forever (in most places 😉 ) and it can be so much fun! 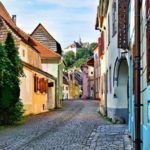 This looks like a great little town to spend some time in! Wow!! I am in Bali for Christmas this year so this is making me miss the holiday feeling! Looks like a great place to be! I’m going to say WOW right back at you Christine! Bali is on my “list.” I love a winter wonderland for Christmas, but either way, I’m a huge advocate for traveling during the holidays. Zermatt looks so cute I would love to visit a small village in the Swiss Alps even if I don;t ski, although I would love to try! It’s great to pass Christmas with snow and the cheese fondue doesn’t look bad either. Is it too expensive there? Zermatt is not considered a budget destination, Chrysoula. But, there is such a range of places to stay and eat that with a bit of research it can be affordable. 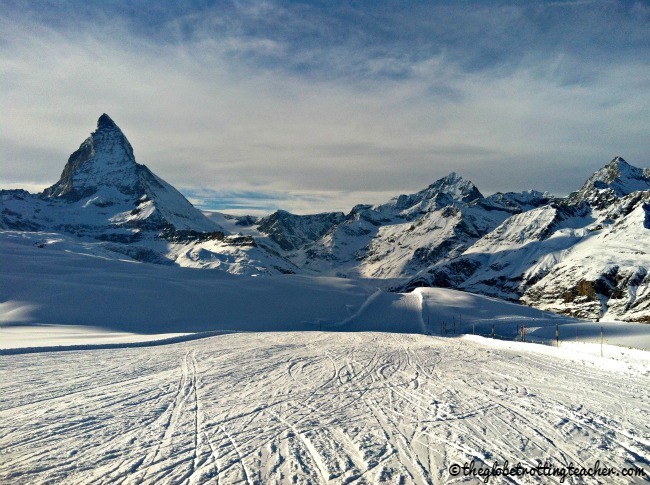 I am someone who learned to ski as an adult and I think Zermatt’s wide open smooth runs are great for learning some ski skills. You should definitely give it a try! 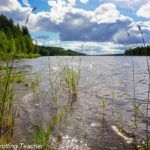 Coming from England, I have always preferred to take a ‘winter sun’ holiday (our winters seem to be grey and endless!!). The beauty of this place though has made me think otherwise. Perhaps a winter ski destination could be on the cards next year! This looks like winter wonderland. We’ll be in Switzerland in a few weeks but not going to Zermatt. We’ll be in Lucerne with some day trips to a couple of ski places. I really like how it’s pedestrian friendly and just how I’d picture a Swiss alpine village in the winter. It’s beautiful. I love your Matterhorn photos. Your trip to Lucerne sounds great, Mary! I’m sure the skiing will be awesome. 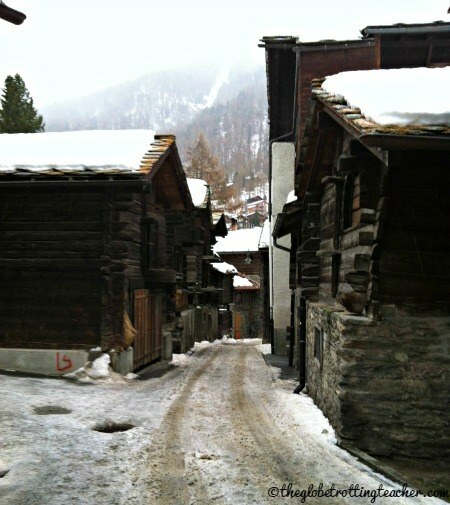 Zermatt’s pedestrian streets really add to its charm and creates a fairytale winter setting. You had me at gooey cheese and wine! I grew up with snow and always vow to stay away in winter. But there is something about spending Christmas with falling snow around that does make it so special. Thanks for introducing this cool place! 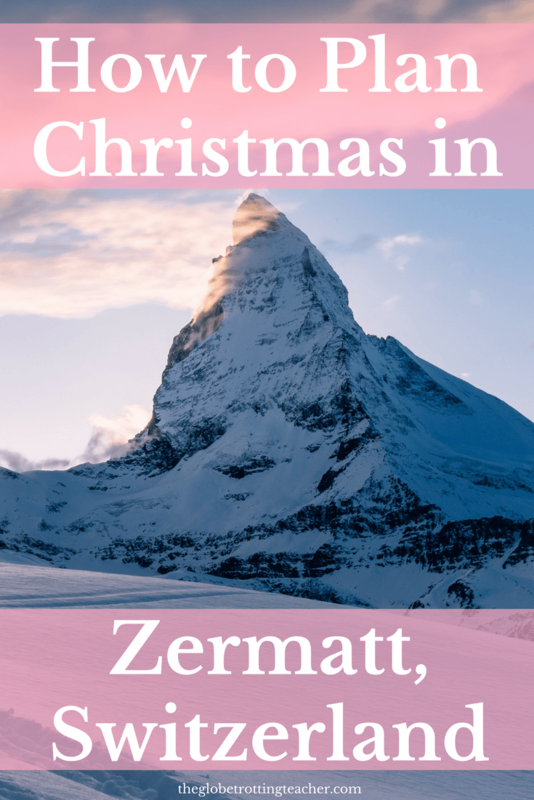 I’ve never been to Zermatt, but it seems like a great place to go for a christmas holiday. Who doesn’t want to take a stroll through a snowy winter landscape? And in general, Switzerland is just so beautiful, in summer and in winter. I’ve been to Interlaken a few years ago, and it’s also an amazing place to be. I so want to go to Interlaken, Kathrin. Switzerland is such a gorgeous country no matter what the season! So beautiful! I love the pictures! Christmas would definitely be hard to forget in Zermatt! I’m not sure I would want to leave! the nights in Zermatt is the best! Haha, exactly Mar! Walking through the village, with snow falling…you feel like you’re in a magical fairytale! Zermatt sounds like a charming and beautiful place to visit. 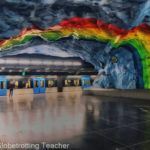 Your amazing pictures bring the city to life in a very compelling way. Thank you for details you have provided on the practical aspects of the city. Sound great. Nice photos, it makes me wanna go and play In the snow)))like a child 🙂 This post brought me some good memories of my white xmases as a child .. And not only xmases but winters.. I remember back then it used to snow a lot and I had a lot of fun in the snow.. It was beautiful.. The snow totally creates a child-like feel, which I guess is associated with the Christmas spirit, right Lucy? 🙂 That’s why I love to ski. It brings back happy winter memories. Thanks for reading! Ha! Shobha, there are no rules that say you actually have to ski to take part in the apres ski. 😉 Zermatt is a great place for everyone to enjoy! Wow zermatt looks like a magical place to spend Christmas! The view looks incredible! I’ll be spending Christmas in Australia this year which is a little different!